BUCKEYE – Eleven-year-old Hunter Lopez got up at 2 a.m. to start his day, although he admitted being so excited he barely slept. Lopez, his father and his uncle loaded up their shotguns and started the one-hour trek from Queen Creek to Robin’s Butte Wildlife Area. Dove hunting season is the reason for Lopez’s excitement, especially this year with hunters allowed to shoot 15 doves per day rather than the usual 10. 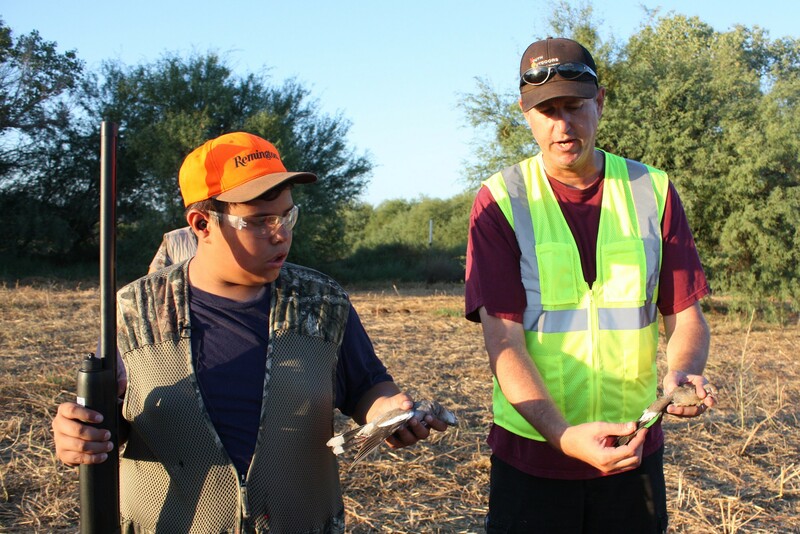 As of January, the Arizona Game and Fish Commission will allow Lopez and other minors to bag the same number as adults, where historically the youth limit has been half the adult number. The season happens in two waves: The early season runs from Sept. 5 until Sept. 28 this year. The second wave is from Nov. 22 to Jan. 5. 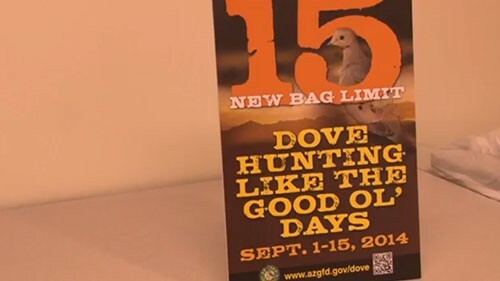 Johnathan O’Dell, a small game biologist with the Arizona Game and Fish Department, said the bag limit is set based on the dove population. O’Dell said that doves breed and spend the winter in Arizona. In August, 20 million to 30 million doves are born in the state. “Doves are not overpopulated, and hunting them doesn’t feed anyone or help manage wildlife,” its website says. An Arizona representative of the group didn’t respond to phone messages seeking comment. Hunters take less than 5 percent of the dove population annually, O’Dell said. Bag limits are based on harvesting reports, where Game and Fish employees count and place metal bands on doves. The bag limit is determined on the number of doves these officials see. The most common types hunted at Robin’s Butte are white wing, mourning and collared doves. Hunters are limited to shooting 10 white wings, 15 mournings and an unlimited amount of collared doves. The breast area is mainly what sportsmen eat off the dove. Hunters can find recipes for dove kabob and other treats on the Game and Fish website, but Lopez prefers his mother’s recipe: dove breast mixed with cream cheese and jalapenos and wrapped in bacon. Scott Pike, a Youth Outdoors Unlimited employee, helped put on the junior hunt Lopez participated in over the Sept. 5 weekend. He said he’s been hunting dove for decades. Hunting collared doves is unlimited because they are larger and often bully the smaller doves out of their natural habitats, according to Pike. However, hunters need to be aware of what they are shooting at. Pike said if hunters mistake a raven for a dove, they could face a $2,000 fine. Sportsmen should also be aware of where the legal hunting area. O’Dell said the zone “pretty much runs outside the perimeter of the freeways.” He said to be sure to be a quarter of a mile away from any building in any direction. Wiping the sleep from his eyes, Hunter Lopez said he tries to go shooting every weekend during the seasons. And he offered some tips for bagging doves. 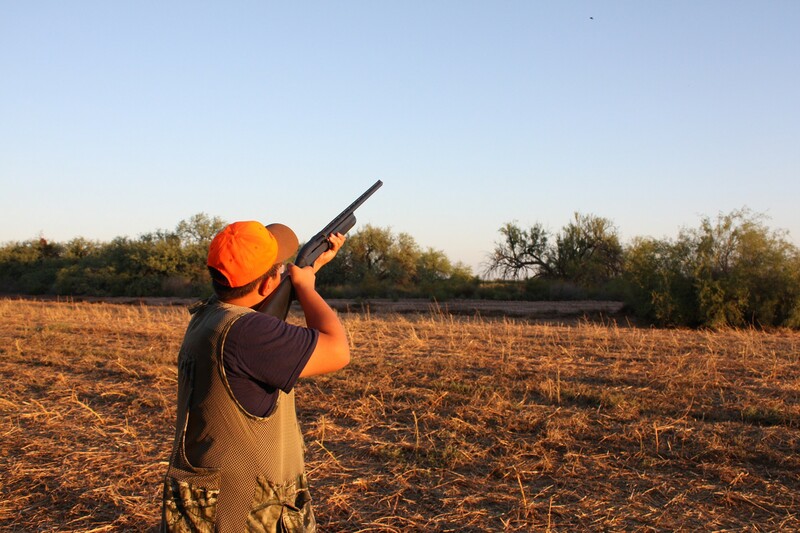 The first wave of the dove hunting season in Arizona is underway with some new changes made by the Arizona Game and Fish Commission. Under these changes youth hunters are now allowed to shoot the same number of doves per day as the adult hunters. Cronkite News reporter Angelie Meehan gives us more insight. 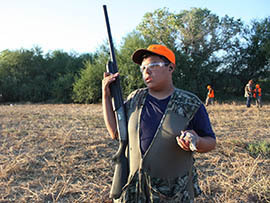 Eleven-year-old Hunter Lopez takes part in a dove hunt near Buckeye. 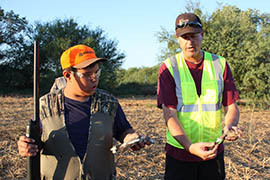 Scott Pike, an employee of Youth Outdoors Unlimited, works with 11-year-old Hunter Lopez during a hunt organized by his group. Hunter Lopez takes aim at a dove.